Can Cavani and Ibrahimovic and Co. Coexist? Cavani’s transfer to PSG has raised a lot of eyebrows. The surprise is not from the fact that he garnered the largest transfer fee in French history or that PSG was the team to give it to him but because of the team he went to. PSG played last year in a 4-3-3 with Zlatan Ibrahimovic as the lead striker and main focal point of their attack. The strategy worked well with Zlatan scoring thirty goals and led the Ligue 1 in scoring. However, Zlatan is notorious for being three things, two of which earn him a lot of vitriol from football fans, he is a great striker, incredibly selfish, and has gained a reputation as a mercenary. If he feels his position as center of the PSG universe is being threatened he could try and force his way out or force Cavani to play out of position. Neither of which are desirable outcomes if PSG is looking to bolster its attacking prowess. On Napoli, Cavani played more of a central striking position while on Uruguay that position is occupied by Luis Suarez, and a lot of blame for his poor performances on the national team has been blamed on this very fact. Although to be fair, there have been many great players who have not performed at the level they are expected to on their national team because they have so little time to mesh with their teammates on their national team when compared to the time they have to mesh with their club teammates. Despite this caveat it is interesting to note how Cavani has consistently under-performed when put out wide. Zlatan never plays wide due to his style of play and body-type. If you look at PSG’s success last year it is hard to argue that Zlatan was the reason for their failure in the Champions League. Therefore, can PSG really make the case to play Zlatan out of position or change the formation that he thrived in without angering the fans and, more importantly, Zlatan himself? Zlatan moving position seems unlikely but PSG would be foolish to not try everything to make sure their record-signing as effective as possible during his PSG career. Therefore, this is where the questions arise. Obviously, every effort must be made by a team like PSG to get one of the best strikers in the world but by signing Cavani they put two world-class strikers on the same team who have a proven track record of being unable to thrive out of position. So the real question is, can Laurent Blanc devise a formation that utilizes both strikers in a way that will get the most of their potential? Or will this signing hasten Zlatan Ibrahimvic’s exit from PSG? There are a lot of possible formations that could be utilized. One of which is a 4-4-2 with Zlatan playing behind Cavani and a little bit to the left or right. In this scenario Cavani would be the point man and could lay off balls to Ibrahimovic who can run at defenders with some space. This is assuming Ibrahimovic will play as effectively without the service provided by two wingers. There’s also Ezequiel Lavezzi to worry about, assuming Cavani’s arrival doesn’t lead to him seeking a transfer to elsewhere, because his talent lies on the wing and having to consistently track back will hurt his effectiveness on the offense, same with Lucas Moura. Not to mention this leaves Javier Pastore as the odd man out as both wide midfield positions would be occupied by Lavezzi and Moura. PSG now has a wealth of offensive talent but a lot of offensive talent can be a bigger problem than it looks on paper because each talented player wants to play. However,too many offensive minded players can lead to weaker defense. This is because offensive players are notoriously bad at tracking back and playing defense which can overwhelm the PSG defense forcing PSG to have to outscore their opponents in way too many games to counteract their defense being constantly under fire. Each and every formation will have its ups and downs, especially with this over-abundance of talent and a dearth of offensive positions within most formations. At the end of the day it is whether these two highly played players, and the rest of their talented offensive cast, can adapt their playing styles in order to compromise for the good of the team. Although, as the past has shown highly-paid players are usually not the ones most willing to compromise. If PSG wants to challenge in the Champions League then Laurent Blanc and company better make sure they do. However, it is entirely possible, and likely, that one of these players will have to leave in order to make room for Cavani and if Cavani does not mesh with Ibrahimovic then he could be worth a lot less tactically then the record transfer fee PSG paid for him. The only positive is that Cavani and Lavezzi have shown that they play well together after their time playing together on Napoli. Thus at the end of the day PSG’s success relies on whether Ibrahimovic and Cavani, two fantastic world-class strikers, can play at their best when sharing the spotlight. “There is no sentiment in football” as Robbie Fowler once said. Therefore, it should come as no surprise that Radamel Falcao decided not to stay at cash-strapped Atletico Madrid and take his superior talents elsewhere. In the current soccer environment his insistence on a high-profile and lucrative move is nothing new. Plenty of players are choosing to go that route, while very few Jamie Carraghers and Paul Scholes remain. However, the argument for loyalty in football is one best reserved for the backrooms of pubs for it is tiresome and circular. Falcao’s move to AS Monaco is less about the reason he transferred and why he chose AS Monaco over much more popular and influential football teams. 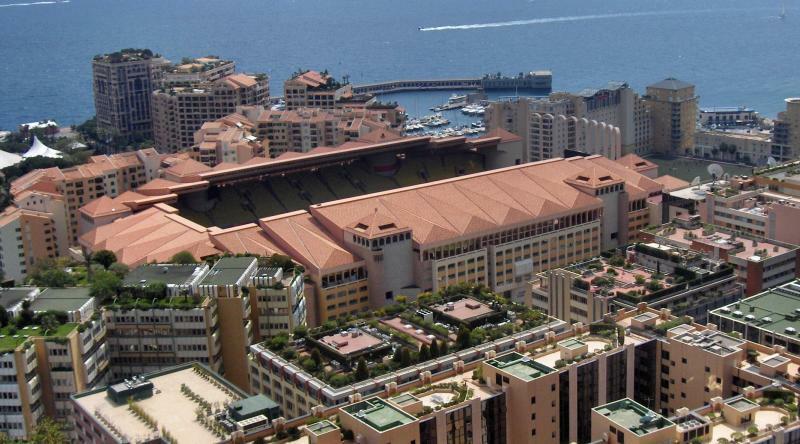 As Monaco currently resides in a stadium that has an 18,523-capacity and resides on top of a car park that fits only 1,700 cars. It was an extremely successful French team from 1960-200, specifically the 1960’s. Recently, it has fallen on hard times when in 2005 it was relegated and has only just now climbed itself back into Ligue 1 for the upcoming season. Much of this is due to Russian billionaire Dmitry Rybolovlev who purchased 66% ownership of the club and has been using his money to return the club to its former glory. However, unlike many other clubs owned by rich owners, it is AS Monaco’s tax status that has allowed it to spend money so freely despite the fact that the FFF (French Football Federation) is so closely regulated. For example “[the FFF] announced their intention to extend a 75% surtax on salaries greater than 1 million euros (equivalent to $1.3M) to soccer teams.” However, since Monaco is a principality, it is tax exempt from all the harsh taxing policies that France has recently become known for. The FFF and AS Monaco are currently embroiled in a conflict to even the playing field with measures such as making AS Monacos offices being relocated to France (Thus making the club no longer exempt.) or charging the club a large lump sum to pay back the difference to the other Ligue 1 clubs. Currently, the conflict is at a stalemate but it is a foregone conclusion to most experts on the subject that AS Monaco will have to make concessions at some point because the FFF will not leave without insuring some measure of inequality. Why is AS Monaco’s tax status important to the argument? It is important because it explains maybe why Radamel Falcao would go to AS Monaco because he would receive a large sum of the salary they would be paying him whereas elsewhere he could lose a huge chunk to taxes, especially at a club in Ligue 1 such as PSG. He is also aware, that although the club has only been recently promoted, it has a rich winning history and a very wealthy owner so that he can be confident that the team will be able to compete within the first two seasons for one of the all important 3 Champions League Spots Ligue 1 has been allotted. When Falcao steps onto the field at AS Monaco he will do so with confidence in his team and a large bank account. But the real question is could he have had more? Falcao spurned clubs with large stadiums and even larger fan bases for an obscure (in international football terms) club with a rather small fan base. The stadium may seat 18,523 but for the past seasons the crowds have been around 11,000, sometimes being as low as 5,000. Of course, Falcao’s addition to the team will greatly increase attendance figures but it is within the hard times that true fans emerge and it seems AS Monaco only has 11,000 of those. Not to mention the stadium is smaller than several MLS stadiums and one begins to see that AS Monaco is not the big glamorous club that many young footballers aspire to play for. Although they do have a rich football history, so does Manchester City, Manchester United, Chelsea, and Bayern Munich. In that regard, how can AS Monaco increase Falcao’s international superstar standing if they barely have a local fan base, let alone an international one. Falcao is a superstar; his goal-scoring record has proven that. However, he is not yet an international superstar. His footprint has been established amongst football fans that have seen his talent on display but there are many who need to see him on a bigger stage in order for him to cross into the territory of international superstar that players such as Cristiano Ronaldo and Lionel Messi now occupy. In order for Falcao to be seen by the international community his team must gain international TV and media coverage. Currently, Ligue 1 is the fifth best European league and PSG has had to do a lot of work just to establish itself as a top European club. AS Monaco will have an even harder time because Ligue 1 does not gain as much international football coverage and getting into the Champions League will not immediately raise AS Monaco’s profile. In order to do that they must be successful and overcome the Champions League giants Falcao spurned in order to go to AS Monaco. It will not be an easy task. Maybe Falcao does not want to be an international football star. It is quite possible he would rather ply his trade on a team with less notoriety and then propel them to greatness. If so, one cannot fault him for his ambition. Unfortunately, many football fans feel deprived of not being able to see such a great talent on a frequent basis. Something they could have done had he played in one of the top four major European leagues on one of the top sixe European football clubs. His international profile would have greatly benefited had he gone to a team with a much bigger international notoriety and fan base. If it was for a tax-free salary though then it is hard to see the logic in such a decision. More money can be made from the international sponsorships he could have garnered had he jumped to one of the bigger clubs. His move to AS Monaco may have installed a glass ceiling above him which could end preventing him from reaching the heights he could have achieved had he gone elsewhere.